Not long after the Kinks’ first big hit, You Really Got Me, blasted into the charts during the swinging summer of 1964, Ray Davies said that being a Kink was “an art form, only I’m dabbling in sounds, not pictures”. This new UK tour of the Olivier award-winning musical not only reflects brilliantly a moment of national optimism, but is also a reminder that Davies’ creative dabbling produced some of the most socially connected and non-conformist pop of the period. Waterloo Sunset, Dedicated Follower of Fashion, the title song and more are included in a show that, apart from the new cast, virtually replicates the recent West End production, complete with Miriam Buether’s vast recording studio set and a runway extension to draw the audience in. 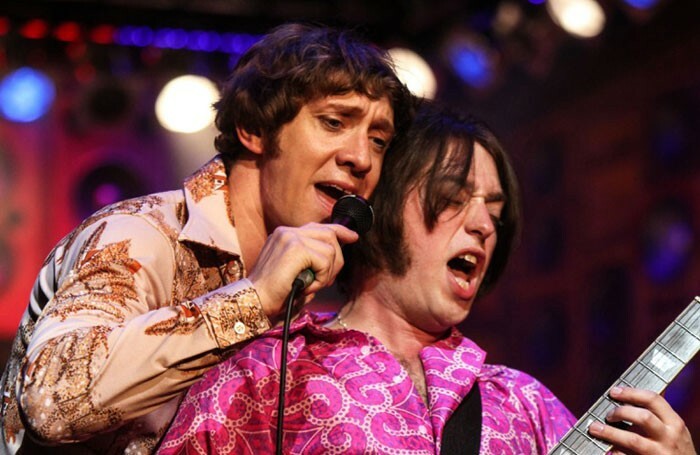 Thankfully, Edward Hall’s direction and Joe Penhall’s script avoid the conventional and crude jukebox bio-musical route in favour of remastering songs within a personalised account of the group’s journey. It tells of the band’s ascent from scruffy working-class hopefuls to instant chart success, with the ferocious feuding between vulnerable Ray and volatile brother Dave, bad commercial decisions, endless court cases and blacklisting by the American unions creating an alternative 1960s scene where the sun doesn’t always shine. Musically and dramatically, it’s a compelling account of Kinks-style creativity, punch-ups and male bonding coming unstuck. The story is dominated by Ryan O’Donnell’s reflective, fame-resistant Ray and Mark Newnham’s pill-popping, cross-dressing Dave. It’s a pity that, apart from Ray’s young wife Rasa (Lisa Wright) and the Davies’ family matriarch (Deryn Edwards), the Kinks’ women here are mostly dedicated followers of 1960s dolly-bird cliches.